Charter a private jet with Falcona to the beautiful and vast country that is Russia. Moscow is the capital of Russia, the largest city in the country and Europe. Moscow stands on the Moscow River, located between the rivers Oka and Volga. It’s one of the largest cultural and tourist centres of Europe and the world. Moscow is viewed as a traditional city compared to St Petersburg. 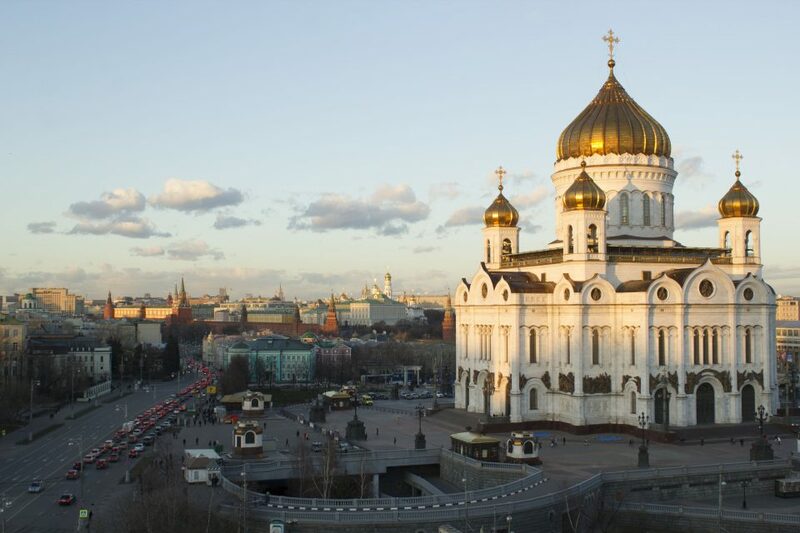 Explore the sights of Moscow, Russia’s capital, and experience its magic. 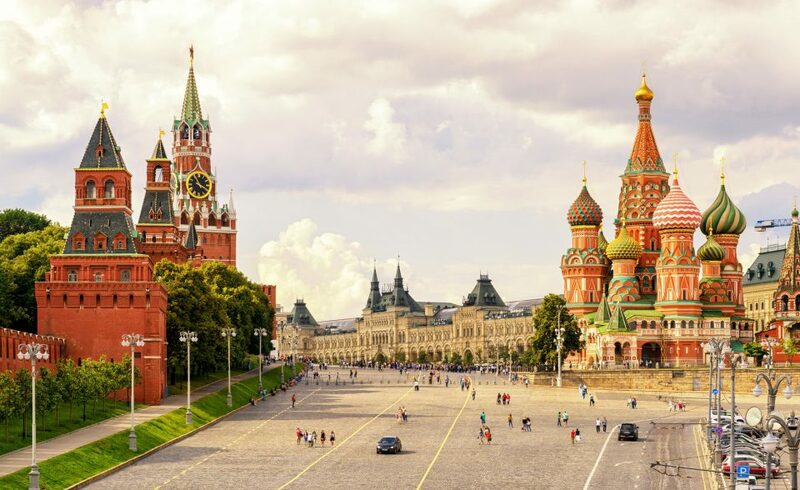 Take a walk to the impressive Red Square, where you can watch and look at the wonderfully coloured cathedral of St Basil’s, an iconic building of Russian art. There are plenty of museum and fine art galleries and shops to entertain you whilst visiting Russia. A diverse history, culture and architectural sites as well as entertainment. The Kremlin, the Bolshoi Theatre, Pushkin Fine Art museum are all well worth a visit. The Kremlin remains the heart of the city, a symbol of power and authority. On the Red Square front lies the St Nicholas Tower, which was built in 1491 and then re-built in 1806. The Kitay-gorod is a historic part of Moscow and a major tourist hot spot. The Cathedral of St Basil the Blessed was built in 1554-60 to commemorate the defeat of the Mongols. A unique and magnificent display of architecture. Other places of interest include the Novodevichy Monastery and Kolomenskoye Estate both on the (UNESCO World Heritage List) . Shopping in Moscow is good as it offers a wide range of luxury stores. Alongside London and New York, Moscow has become a global financial centre. For those travelling to Russia to conduct business then, a private jet charter flight is the best way to get there. A seamless travel experience awaits. We only use operators and aircraft that have all the necessary permits to land in Moscow, Russia. Being able to work en-route to meetings in a private environment with your colleagues, is essential in the business world. You don’t waste valuable time at the airport, as you bypass all the check-in and security lines. When you arrive in Moscow we can arrange a transfer to your final destination. For those travelling to Moscow by private jet, you have a choice between several large airports. The busiest is Moscow Vnukovo which is the most popular airport for private jet travellers. It’s close to the centre of Moscow, open 24 hours and has a dedicated private aviation terminal, with a drive time of approximately 30 minute drive to the city centre. Here it’s possible to have a private vehicle pick up planeside. Sheremetyevo has six terminals with Terminal A dedicated to private aviation with good facilities and a host of handling agents. Domodevo is the third airport of choice for private jet travellers, although it’s not as popular, due to it being a bit further to south east. A transfer to the centre can take between 60-90 minutes. On your arrival at the airport we can organise your transfer to your hotel for a seamless and hassle free travel experience. Flight time from the UK is approximately 3 hours 15 minutes. From the state-of-the-art cockpit, throughout the incomparable cabin, to the tranquil sanctuary of its aft stateroom, seizing the opportunity to demonstrate Global leadership—in style, ingenuity, comfort or convenience, nothing has been overlooked. 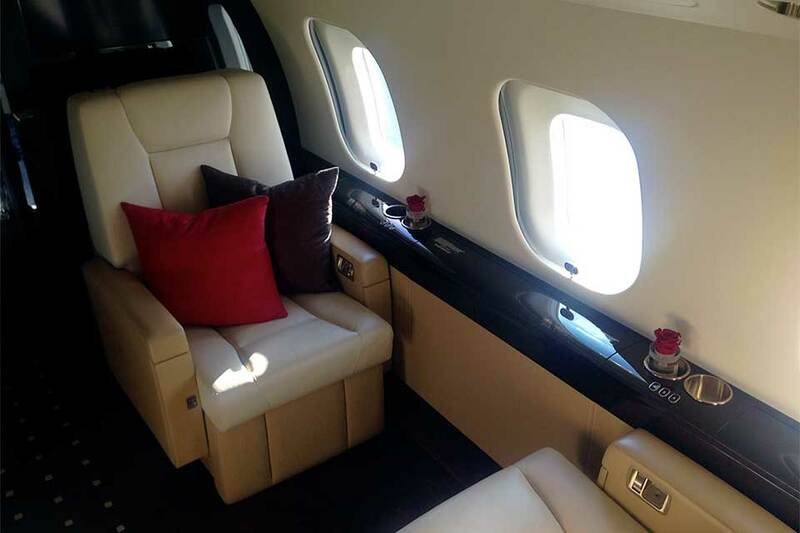 Its spacious cabin allows very comfortable ultra long range flights around the world, at very high speed: the Global 6000 can take you anywhere on earth with just one refuelling stop. 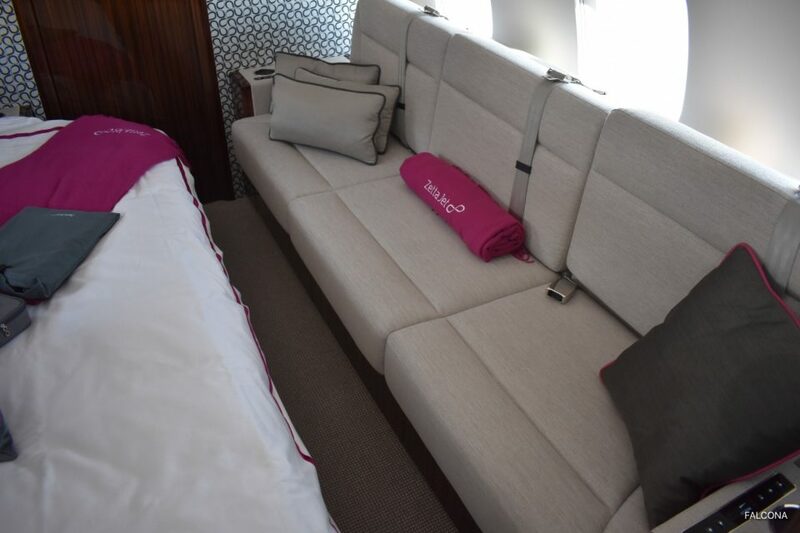 Far from cabin traffic, in the quietest part of the aircraft, the aft stateroom—with its luxurious seating, full berthing divan, spacious wardrobe and independent temperature and entertainment systems—offers uncompromising serenity. Here, the Global 6000 aircraft truly excels in ensuring that you reach your destination rested, refreshed and ready for the day ahead. The cabin seats themselves are ergonomically crafted, with their substantial width, adjustable headrests, recliner-style leg-rests, and track and swivel capabilities—flexibility that allows you to comfortably berth and sleep seven during overnight flights.